For other people with the same name, see Kenneth Miller (disambiguation). Miller began his career at Hibernian before moving on to Rangers then to the English side Wolverhampton Wanderers, where he won his first career honour, the 2003 First Division play-off final. After five seasons with Wolverhampton, Miller returned to Scotland, signing for the other side of the Old Firm – Celtic. He finished his only full season at Celtic with SPL and Scottish Cup winners medals. Hibernian Football Club, commonly known as Hibs, is a professional football club based in the Leith area of Edinburgh, Scotland. The club plays in the Scottish Premiership, the top tier of the Scottish Professional Football League (SPFL), finishing 4th in the 2017–18 season. After one season with Derby County, he returned to Scotland and to Rangers, winning back-to-back SPL titles, the Scottish Cup and the Scottish League Cup in his two full seasons. He moved to Turkish club Bursaspor in January 2011, but returned to the UK later that year, signing for Cardiff City. After one season with Cardiff, Miller played in Major League Soccer for Vancouver Whitecaps FC. He had a third spell with Rangers between 2014 and 2018. After a very brief spell as player/manager of Livingston, Miller signed for Dundee in August 2018. Bursaspor Kulübü Derneği, commonly known as Bursaspor, is a professional Turkish sports club located in the city of Bursa, Turkey. Formed in 1963, the club colours are green and white, with home kits usually featuring both colours in a striped pattern. Miller was a regular Scotland international player from his debut in 2001 until his retirement in 2013. He often played as an isolated lone striker, scoring 18 goals in 69 appearances. Motherwell Football Club are a Scottish professional football club based in Motherwell, North Lanarkshire. The club compete in the Scottish Premiership. Motherwell have not dropped out of the top-flight of Scottish football since 1985, and have lifted one trophy in that time – the Scottish Cup in 1991. 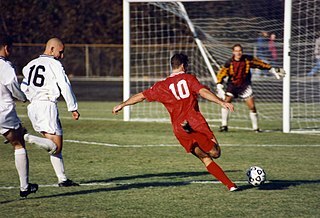 The 1997–98 season was the 101st season of competitive football in Scotland. Celtic won the Premier Division championship, preventing rivals Rangers from winning a record 10th successive championship. The qualifying rounds for the 2000–01 UEFA Champions League began on 12 July 2000. In total, there were three qualifying rounds which provided 16 clubs to join the group stage. Kilmarnock Football Club, commonly known as Killie, is a Scottish football team based in the town of Kilmarnock, East Ayrshire. The team is currently under the management of Steve Clarke. The club has won several honours since its formation in 1869, most recently the 2011–12 Scottish League Cup after a 1–0 win over Celtic at Hampden Park. From then until his international retirement in 2013, Miller was almost always first-choice, playing either on his own or as part of a two-man attack. He scored goals in important games against several teams, including Germany and Ukraine. In 2005, Miller scored four goals in three internationals, against Austria, Italy, and Norway. ↑ Appearances in the Scottish Cup, FA Cup, and Canadian Championship. ↑ Appearances in the EFL Cup and Scottish League Cup. ↑ Appearances in the UEFA Champions League and UEFA Cup. 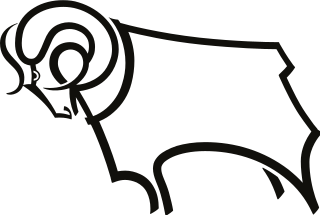 1 2 3 Appearances in the Championship playoffs. 1 2 3 4 5 Appearances in the UEFA Champions League. ↑ Appearance in the MLS Cup playoffs. ↑ Appearances in the Scottish Challenge Cup. As of matches played on 18 November 2018. ↑ Steven Pressley and Mark Brown have since played for both Rangers and Celtic. ↑ Miller left Rangers on 21 January 2011, but he made enough league appearances for Rangers in 2010–11 to qualify for a winners' medal. Dorus de Vries is a Dutch footballer who plays for Celtic as a goalkeeper. Alan Stubbs is an English football coach and former player, who was most recently manager of Scottish Premiership club St Mirren. Stubbs played as a centre-back for Bolton Wanderers, Celtic, Everton, Sunderland and Derby County until his retirement, due to a knee injury, in August 2008. Stubbs then worked as a coach for Everton, and started his management career with Hibernian in 2014. He led Hibernian to a Scottish Cup victory in 2016, then had a brief tenure at Rotherham United. After working as a pundit for BT Sport, he was appointed St Mirren manager in June 2018. Kevin Thomson is a Scottish former professional footballer, who played as a midfielder. Thomson played for Hibernian, Rangers, Middlesbrough and Dundee and represented Scotland. Ivan Sproule is a Northern Irish retired professional footballer. Early in his career, Sproule played in Northern Ireland for Omagh Town and Institute. He became a full-time professional in January 2005, after he signed for Scottish Premier League side Hibernian, just a month before his 24th birthday. He made a significant impact at Hibernian, scoring a hat-trick against Rangers and earning selection by the Northern Ireland national team. 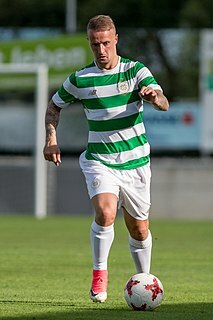 Scott Brown is a Scottish professional footballer who plays as a central midfielder for Scottish Premiership club Celtic. Paul James Hartley is a Scottish football manager and former player. Steven Gordon Whittaker is a Scottish professional footballer who plays for Hibernian. Anthony Stokes is an Irish professional footballer who plays for Iranian club Tractor Sazi as a striker. He was also an Irish international, having played at the under-21, team B and Republic of Ireland national football team. Steven John Naismith is a Scottish professional footballer who plays for Heart of Midlothian of the Scottish Premiership, on loan from Championship club Norwich City, and the Scotland national team. Barry Gordon George Robson is a Scottish former footballer and a current coach. Robson played as a midfielder for several clubs in Scotland, England and Canada and represented Scotland internationally. Lee Wallace is a Scottish footballer who plays as a left back for Scottish Premiership club Rangers and the Scotland national team. Joseph Miller is a Scottish retired footballer and a former manager of Scottish Football League club Clyde. Season 2006–07 was a mixed season for Hibernian; their league form suffered from extended cup runs, and they eventually finished sixth. The reward for their cup form was a first trophy in 16 years, thrashing Kilmarnock 5–1 in the final to lift the CIS Cup. Hibs were knocked out of the Scottish Cup in a semi-final replay by Dunfermline. Leigh Griffiths is a Scottish professional footballer who plays as a striker for Scottish Premiership club Celtic and the Scottish national team. Andrew William Halliday is a Scottish professional footballer who plays as a midfielder or left back for Scottish Premiership club Rangers. He has previously played for Livingston, Middlesbrough, Walsall, Blackpool and Gabala. Season 2000–01 was Hibs' second season in the Scottish Premier League, after gaining promotion from the First Division in 1999. 2000–01 proved to be a successful season for Hibs, as they started the season extremely well and eventually finished third, qualifying for the 2001–02 UEFA Cup. The club also had a good Scottish Cup run, reaching the 2001 Scottish Cup Final, but were beaten 3–0 by treble winners Celtic at Hampden Park. The season was also memorable for Hibs fans due to a 6–2 win in an Edinburgh derby against Hearts. 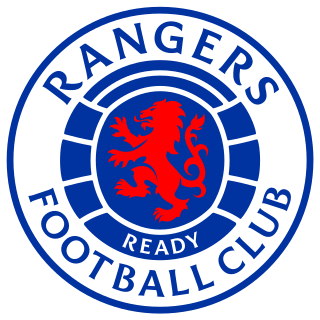 The 2010–11 season was the 131st season of competitive football by Rangers. Dylan McGeouch is a Scottish footballer, who plays for Sunderland as a midfielder. McGeouch, who has previously played for Celtic, Coventry City and Hibernian, made his first full international appearance for Scotland in May 2018. The 2012–13 season was Hibernian's fourteenth consecutive season in the Scottish Premier League, having been promoted from the Scottish First Division at the end of the 1998–99 season. The club improved on its league performance in the previous season by finishing 7th in the 2012–13 Scottish Premier League, but were eliminated from the 2012–13 Scottish League Cup in the second round by Queen of the South. Hibernian progressed in the 2012–13 Scottish Cup to the 2013 Scottish Cup Final, but this was lost 3–0 to league champions Celtic. 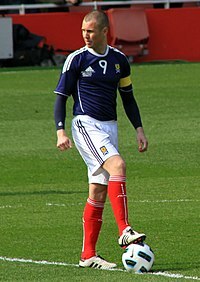 Jason Cummings is a Scottish professional footballer who plays as a striker for Luton Town, on loan from Nottingham Forest, and the Scotland national team. ↑ "Kenny Miller". Barry Hugman's Footballers. Retrieved 11 March 2017. ↑ "Kenny Miller – Rangers Football Club, Official Website" . Retrieved 4 October 2017. 1 2 "Kenny is a Dee". Dundee F.C. 29 August 2018. Retrieved 31 August 2018. ↑ "Smith reveals ethos behind Hutchie success". The Scotsman. 16 February 2009. Retrieved 28 October 2018. ↑ "Ex Hutchison Vale Players Now Senior Clubs". Lothian Thistle Hutchison Vale F.C. 6 August 2018. Retrieved 28 October 2018. ↑ Weber, Marc. "New Whitecap Kenny Miller brings guts and goals". The Province. Archived from the original on 20 July 2012. Retrieved 19 July 2012. 1 2 3 4 "Profile – Kenny Miller". Rangers FC. Archived from the original on 9 February 2010. ↑ "Rangers conclude Miller deal". BBC News. BBC. 26 June 2000. ↑ "Rangers struggle against minnows". BBC Sport. BBC. 26 July 2000. Retrieved 20 January 2010. ↑ "Gers fight back to beat Killie". BBC Sport. BBC. 5 August 2000. Retrieved 20 January 2010. ↑ "Rangers romp back to form". BBC Sport. BBC. 4 November 2000. Retrieved 20 January 2010. ↑ Lindsay, Clive (7 November 2000). "Simone leaves Rangers in despair". BBC Sport. BBC. ↑ "Fortune favours Rangers at Pittodrie". BBC Sport. BBC. 13 November 2000. ↑ "Gers breeze by Brechin". BBC Sport. BBC. 27 January 2001. ↑ "Miller starts Wolves loan". BBC Sport. BBC. 6 September 2001. ↑ "Wolves 1–0 Nottm Forest". BBC Sport. BBC. 25 September 2001. ↑ "Wolves seal Miller deal". BBC Sport. BBC. 13 December 2001. 1 2 "Wolves back in big time". BBC Sport. BBC. 26 May 2003. ↑ "McCarthy drops interest in Miller". BBC Sport. BBC. 6 July 2005. ↑ "Miller rejects transfer to Blades". BBC Sport. BBC. 6 January 2006. ↑ "Hoddle hails Miller's versatility". BBC Sport. BBC. 15 May 2006. ↑ "Wolves to make fourth Miller bid". BBC Sport. BBC. 15 December 2005. ↑ "Celtic sign ex-Rangers man Miller". BBC Sport. BBC. 19 January 2006. ↑ Lindsay, Clive (19 January 2006). "Crossing the divide". BBC Sport. BBC. 1 2 Lindsay, Clive (17 October 2006). "Celtic 3–0 Benfica". BBC Sport. BBC. ↑ "DC United 4–0 Celtic". BBC Sport. BBC. 13 July 2006. Retrieved 7 November 2010. ↑ Moffat, Colin (21 September 2006). "Baptism of Old Firm fire". BBC Sport. BBC. Retrieved 26 January 2011. ↑ Lindsay, Clive (23 September 2006). "Celtic 2–0 Rangers". BBC Sport. BBC. ↑ Lindsay, Clive (26 September 2006). "Celtic 1–0 Copenhagen". BBC Sport. BBC. ↑ Taylor, Julian (26 May 2007). "Dunfermline 0–1 Celtic". BBC Sport. BBC. Retrieved 7 November 2010. ↑ "Miller in quit threat". Sky Sports. 10 March 2007. Retrieved 7 November 2010. ↑ "Miller to fight for place". Sky Sports. 13 February 2007. Retrieved 7 November 2010. ↑ "Kenny a happy boy". Sky Sports. 29 April 2007. Retrieved 7 November 2010. ↑ Conaghan, Martin (11 August 2007). "Falkirk 1–4 Celtic". BBC Sport. BBC. Retrieved 7 November 2010. ↑ McGuigan, Thomas (19 August 2007). "Aberdeen 1–3 Celtic". BBC Sport. BBC. Retrieved 7 November 2010. 1 2 "Jewell demands fair Miller price". BBC Sport. BBC. 6 March 2008. ↑ "Derby 1–1 Bolton". BBC Sport. BBC. 29 September 2007. ↑ Sinnott, John (17 September 2007). "Derby 1–0 Newcastle". BBC Sport. BBC. Retrieved 6 March 2008. ↑ "Miller would relish Ibrox return". BBC Sport. BBC. 10 February 2008. Retrieved 6 March 2008. ↑ "Rangers close in on Miller deal". BBC Sport. BBC. 10 June 2008. ↑ "Miller delight at Rangers return". BBC Sport. BBC. 13 June 2008. ↑ "Players who played for both Celtic and Rangers in their career". Scottishleague.net. ↑ Murray, Keir (30 July 2008). "Rangers 0–0 FBK Kaunas". BBC Sport. BBC. ↑ Lindsay, Clive (31 August 2008). "Celtic 2–4 Rangers". BBC Sport. BBC. ↑ Lindsay, Clive (28 September 2008). "Hibernian 0–3 Rangers". BBC Sport. BBC. Retrieved 7 November 2010. ↑ "Celtic 2–0 Rangers". BBC Sport. BBC. 15 March 2009. ↑ "Dundee United 0–3 Rangers". BBC Sport. BBC. 24 May 2009. 1 2 Moffat, Colin (30 May 2009). "Rangers 1–0 Falkirk". BBC Sport. BBC. ↑ "Form a worry for Old Firm". BBC Sport. BBC. 2 October 2009. Retrieved 7 November 2010. ↑ "Rangers 2–1 Celtic". BBC Sport. BBC. 4 October 2009. Retrieved 22 March 2010. ↑ Spiers, Graham (22 March 2010). "A silver lining for cup-winning Rangers". The Times. London: News International. Retrieved 7 May 2010. 1 2 Campbell, Andy (21 March 2010). "St Mirren 0–1 Rangers". BBC Sport. BBC. ↑ Jackson, Keith (24 August 2010). "Kenny Miller's Rangers future hangs in the balance as he rejects reduced contract offer". Daily Record. Glasgow: Trinity Mirror. ↑ "Hibernian 0–3 Rangers". BBC Sport. BBC. 22 August 2010. ↑ "Rangers striker Kenny Miller 'in form of my career'". BBC Sport. BBC. 27 September 2010. ↑ Campbell, Andy (24 October 2010). "Celtic 1–3 Rangers". BBC Sport. BBC. ↑ "Rangers accept Birmingham City offer for Kenny Miller". BBC Sport. BBC. 7 January 2011. Retrieved 7 January 2011. ↑ "Rangers and Bursaspor agree fee for Miller". STV Sport. 20 January 2011. Retrieved 26 January 2011. 1 2 "Kenny Miller completes switch from Rangers to Bursaspor". BBC Sport. BBC. 21 January 2011. Retrieved 21 January 2011. 1 2 "Kenny Miller to hold Bursaspor talks about Rangers move". BBC Sport. BBC. 13 July 2011. Retrieved 21 July 2011. ↑ "Miller İmzalıyor" [Miller signs]. Bursaspor (in Turkish). 20 January 2011. Archived from the original on 22 January 2011. Retrieved 21 January 2011. ↑ Greechan, John (24 January 2011). "Romantic return? Rangers stall on move to bring former hero Nacho Novo back to Ibrox". Mail Online. London. Retrieved 26 January 2011. ↑ "Miller" [Miller nets first Bursaspor goal]. 29 January 2011. Archived from the original on 2 February 2011. Retrieved 29 January 2011. ↑ "Miller" [More Turkish delight for Miller]. 29 January 2011. Retrieved 29 January 2011. 1 2 "Cardiff complete Kenny Miller signing from Bursaspor". BBC Sport. BBC. 26 July 2011. Retrieved 26 July 2011. 1 2 "Rangers look set to miss out on Kenny Miller". BBC Sport. BBC. 20 July 2011. Retrieved 21 July 2011. ↑ Russell, Grant (20 July 2011). "Bursaspor reject Rangers bid for Kenny Miller and accept Cardiff offer". STV . Retrieved 20 July 2011. ↑ "Cardiff 2–1 Southampton". BBC Sport. BBC. 28 September 2011. Retrieved 28 September 2011. ↑ "Kenny Miller makes Cardiff City return against Barnsley". South Wales Echo. 19 October 2011. Retrieved 20 October 2011. ↑ "Cardiff 5 – 3 Barnsley". BBC Sport. BBC. 22 October 2011. Retrieved 22 October 2011. ↑ "Cardiff striker Kenny Miller set for Vancouver move". BBC Sport. BBC. 15 July 2012. Retrieved 15 July 2012. ↑ "Whitecaps FC add Designated Player Kenny Miller | Vancouver Whitecaps FC". Whitecapsfc.com. Retrieved 16 July 2012. ↑ "Match information: Whitecaps FC vs San Jose Earthquakes". Vancouver Whitecaps. 22 July 2012. Retrieved 3 June 2014. ↑ Simon Fudge (25 August 2012). "Whitecaps FC suffer disappointing defeat at Portland Timbers | Vancouver Whitecaps FC". Whitecapsfc.com. Retrieved 20 August 2013. ↑ "New Vancouver Whitecaps deal for Scotland striker Kenny Miller". 24 July 2013. Retrieved 20 August 2013. ↑ Farhan Devji (24 July 2013). "DP Kenny Miller focused on closing out season with Vancouver Whitecaps FC | Vancouver Whitecaps FC". Whitecapsfc.com. Retrieved 20 August 2013. ↑ "Kenny Miller leaving Whitecaps,". The Province. 4 May 2014. Archived from the original on 28 June 2014. ↑ "Rangers: Kenny Miller to join club for the third time". BBC Sport. BBC. 3 June 2014. Retrieved 3 June 2014. ↑ Murray, Keir (5 August 2014). "Rangers 2–1 Hibernian". BBC. BBC Sport. Retrieved 11 April 2016. ↑ Forsyth, Paul (31 August 2014). "Rangers 4–2 Queen of the South: Fan fury amid win". The Scotsman. Edinburgh: Johnston Press. ↑ "Motherwell 3–0 Rangers (agg: 6–1): Scottish Premiership play-off final – as it happened!". The Guardian. London: Guardian Media Group. 31 May 2015. Retrieved 1 January 2016. 1 2 "Rangers forward extends Ibrox stay until 2017". BBC Sport. BBC. 17 November 2015. ↑ "Dumbarton 0–6 Rangers". BBC Sport. BBC. 2 January 2016. Retrieved 3 June 2016. 1 2 "Rangers duo pick up monthly Championship awards". BBC Sport. BBC. 4 February 2016. ↑ Halliday, Stephen (10 April 2016). "Rangers 4–0 Peterhead: Gers win Petrofac Training Cup final". The Scotsman. Johnston Press. Retrieved 1 January 2016. 1 2 English, Tom (10 April 2016). "Rangers 4–0 Peterhead". BBC Sport. BBC. Retrieved 10 April 2016. 1 2 Burke, Andy (5 April 2016). "Rangers 1–0 Dumbarton". BBC Sport. BBC. Retrieved 5 April 2016. ↑ Wilson, Richard (21 May 2016). "Rangers 2–3 Hibernian". BBC Sport. BBC. ↑ Dowden, Martin (14 October 2016). "Inverness CT 0–1 Rangers". BBC Sport. BBC. ↑ "Vote: Goal of the Month for October 2016". Spfl.co.uk. Scottish Professional Football League. 4 November 2016. Retrieved 1 January 2016. ↑ "Miller Bags Goal Of The Month". Rangers.co.uk. Rangers Football Club. 3 November 2016. Retrieved 1 January 2016. ↑ Campbell, Andy (31 December 2016). "Rangers 1–2 Celtic". BBC Sport. BBC. Retrieved 21 January 2017. ↑ "Rangers 1–5 Celtic". BBC Sport. BBC. ↑ Campbell, Andy (21 January 2017). "Rangers 2–1 Motherwell". BBC Sport. BBC. Retrieved 21 January 2017. ↑ Sutherland, Jonathan (28 January 2017). "Motherwell 0–2 Rangers". BBC Sport. BBC. Retrieved 21 January 2017. ↑ "Rangers: Kenny Miller signs new deal to stay at Ibrox". BBC Sport. BBC. 28 April 2017. ↑ Grieve, Robert (11 December 2016). "A TO Z Rangers star Kenny Miller reveals some of his career secrets to SunSport". The Scottish Sun. News UK. ↑ "Rangers 1–0 Progres Niederkorn". BBC Sport. BBC. 29 June 2017. ↑ "Progrès Niederkorn 2 – 0 Rangers". BBC Sport. BBC. 4 July 2017. 1 2 McLaughlin, Chris (29 September 2017). "Rangers: Kenny Miller dropped following fall-out with boss Pedro Caixinha". BBC Sport. Retrieved 24 October 2017. ↑ "Rangers 'disrespectful' to Kenny Miller, says striker's agent". BBC Sport. 17 October 2017. Retrieved 24 October 2017. ↑ "Rangers: Kenny Miller's agent says players reputation has been 'trashed'". BBC Sport. 18 October 2017. Retrieved 24 October 2017. ↑ "Rangers players always united, says Kenny Miller after two goals against Hearts". BBC Sport. 28 October 2017. Retrieved 28 October 2017. ↑ McLaughlin, Chris (17 April 2018). "Kenny Miller & Lee Wallace: Rangers suspend pair after Graeme Murty argument". BBC Sport. Retrieved 17 April 2018. ↑ Coyle, Andy; Bhardwaj, Raman (31 May 2018). "Rangers fine Miller and Wallace over Hampden bust-up". STV Sport. Retrieved 31 May 2018. ↑ "Rangers: Kenny Miller & Lee Wallace win appeal against disciplinary process". BBC Sport. 5 September 2018. Retrieved 9 September 2018. ↑ "Lee Wallace and Kenny Miller win appeal against Rangers". Sky Sports. 6 September 2018. Retrieved 9 September 2018. 1 2 "Rangers Player Kenny Miller Details". fitbastats.com. ↑ "Kenny Miller: Livingston appoint former Rangers striker player-manager on two-year deal". BBC Sport. 30 June 2018. Retrieved 30 June 2018. ↑ "Scottish League Cup: Kenny Miller strike secures Livi win over Annan". BBC Sport. 21 July 2018. Retrieved 21 July 2018. 1 2 McLauchlin, Brian (20 August 2018). "Livingston: Kenny Miller leaves player-manager role after just seven weeks". BBC Sport. Retrieved 20 August 2018. ↑ "Scotland player Gary Holt: Managers & Teammates". FitbaStats. Retrieved 25 August 2018. ↑ "Livingston: Gary Holt agrees to replace Kenny Miller as head coach". BBC Sport. 23 August 2018. Retrieved 25 August 2018. ↑ "Kenny Miller: Dundee sign former Rangers striker & ex-Livingston boss". BBC Sport. 29 August 2018. Retrieved 29 August 2018. ↑ "Dundee 4-0 Hamilton: Kenny Miller scores a hat-trick in win". BBC Sport. 5 December 2018. Retrieved 6 December 2018. ↑ "Scotland hold Poland". BBC Sport. 25 April 2001. ↑ "Wilkie wins it for Scotland". BBC Sport. BBC. 29 March 2003. ↑ Gordon, Moira (10 February 2011). "Scotland 3 – 0 Northern Ireland: Dream debut for McArthur reignites Levein reign". The Scotsman. Johnston Press. Retrieved 10 February 2011. ↑ "Craig Gordon pulls out of Scots squad to face N Ireland". BBC Sport. 8 February 2011. Retrieved 10 February 2011. Miller, at 31, is the most senior member of the squad that made the trip to Dublin for the first of three Nations Cup matches. But, despite never having worn an armband before, Miller does not believe his game will change as a result of the extra responsibility. 1 2 3 "Scotland's Kenny Miller retires from international football". BBC Sport. 23 August 2013. Retrieved 23 August 2013. ↑ "Hibernian Player Kenny Miller Details". fitbastats.com. ↑ "Kenny Miller – Football Stats – Soccer Base". soccerbase.com. ↑ "Celtic Player Kenny Miller Details". fitbastats.com. ↑ "Kenny Miller » Club matches". World Football. Retrieved 14 November 2018. ↑ "K. Miller". Soccerway. Perform Group. Retrieved 14 November 2018. ↑ "Managers: Kenny Miller". Soccer Base. Retrieved 15 July 2018. ↑ Moffat, Colin (22 April 2007). "Kilmarnock 1–2 Celtic". BBC Sport. BBC. ↑ Taylor, Julian (26 May 2007). "Dunfermline Athletic 1–0 Celtic". BBC Sport. BBC. ↑ Campbell, Andy (24 May 2009). "Dundee United 0–3 Rangers". BBC Sport. BBC. ↑ Campbell, Andy (25 April 2010). "Hibernian 0–1 Rangers". BBC Sport. BBC. ↑ "Kenny Miller named top SPL player for April". BBC Sport. BBC. 1 May 2010. ↑ "August awards for Rangers boss Smith and striker Miller". BBC Sport. BBC. 17 September 2010. ↑ "Rangers striker Kenny Miller named player of month". BBC Sport. BBC. 1 October 2010. Retrieved 1 October 2010. ↑ "Miller Collects Golden Boot". BBC Sport. BBC. 24 May 2011. Retrieved 24 May 2011. 1 2 3 "SIMPLY THE BEST Wes Foderingham, Clint Hill, Kenny Miller? Find out who won Rangers Player of the Year". The Sun . 23 April 2017. Retrieved 22 April 2017.